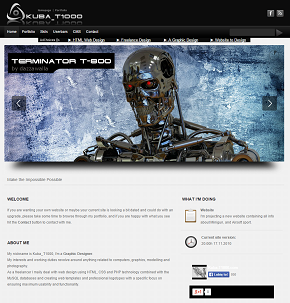 Kuba_T1000 provides many interesting and innovative airsoft products. In 2011 year my design AEG to HPA by Kuba_T1000	took airsoft experiences to the next level. In later years appeared on the market many HPA products. Some of them were different and some very, very similar as Wolverine Airsoft SMP. I am very proud becouse my One Moving Piston design has been popularized on airsoft market. Also my new 2015 year design uses old One Moving Piston technology, which works perfectly. Years ago I started works on 1:2 scaled Minigun Replica. 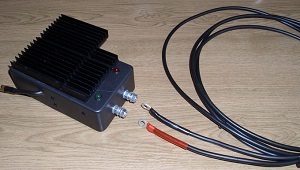 It's full aluminum version and is able to shoot very fast. It is available as free DIY version: DIY Tutorial M134 Minigun. 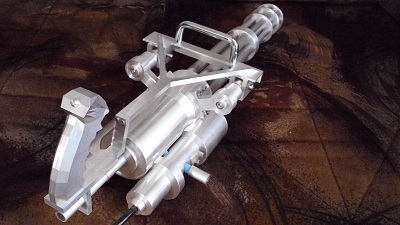 My very popular products are 3D Minigun files. Two versions of them are easy to make, becouse design is as simple as it can be. 3D M134 Minigun and 3D M134D Minigun Models. In 2014 I finished my third minigun 3D models. 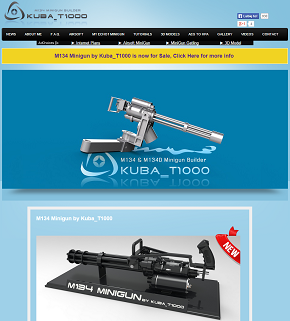 M134 Minigun by Kuba_T1000 is most advanced 3D minigun model on the Internet. The High-End quality and highest detailed design takes me long time to make it. It's also 3D Printing Ready. For now I'm providing three different Minigun Models. In 2011 year I started developing my most advanced and the most popular project which is AEG to HPA Mod. In 2011 my design takes airsoft air powered guns on the next level. I'm sharing free 3D Solidworks project files of AEG to HPA. 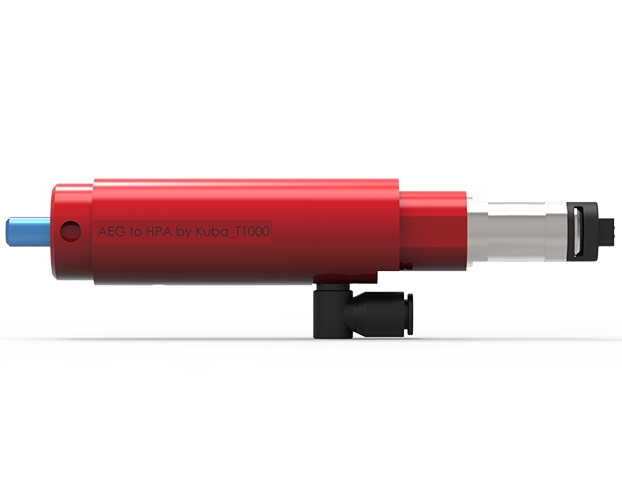 Also there will be available redesigned 2015 version of AEG to HPA. In 2015 I re-start works on AEG to HPA project. 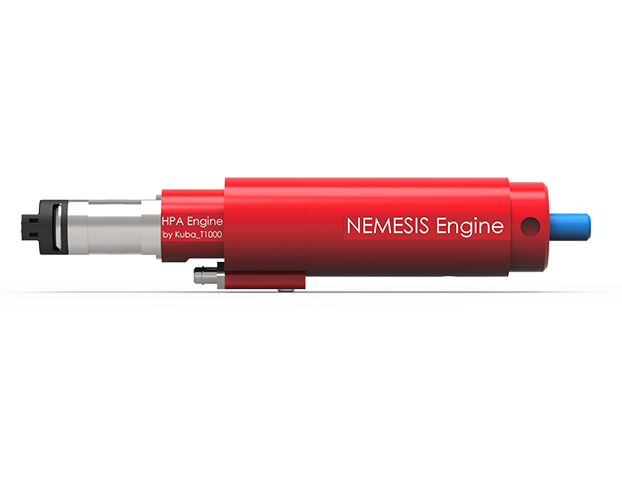 After many hours of hard work and after tests and tests and more test and changes finally I finished my work with positive results and the new product was named NEMESIS Engine | HPA Engine by Kuba_T1000. AEG to HPA will stay as DIY version, and new NEMESIS Engine design will be used as a commercial product. New 2015 Nemesis Engine design uses smaller MAC solenoid and provides greatest performance than ever. Also all parts of Nemesis are made from aluminum and machined on CNC machines which provided excellent quality. As freelancer I offer the best solution around the web. Graphic design, HTML & CSS and PHP websites. Explore my portfolio, and experience a world of advanced web pages. I'd like to share with you about the knowledge of making Airsoft M134 Minigun. Also you can get 3D Minigun models for Solidworks or 3D Studio Max. Free version is available. My latest project: AEG to HPA Conversion Mod. Check it! 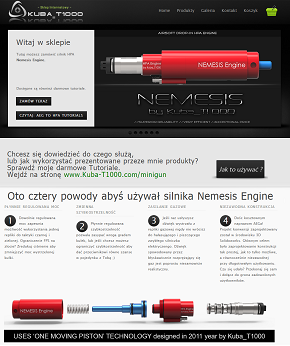 Tutaj zamówisz silnik HPA Nemesis Engine. Dostępny tylko dla użytkowników z regionu: Polska. Website is available only for polish users. Commercial version of my legendary AEG to HPA Engine. Best quality and easy usage provides outstanding performance of system. M134 Minigun by Kuba_T1000, M134 Minigun, and M134D Minigun. These models are 3D Printing Ready. Convert your electric airsoft gun to high efficient High Pressure Air conversion with DIY Tutorials. Detailed tutorial showing the process of creating a airsoft replica M134 Minigun. Free detailed high quality plans are available.